No, you don't have to read these in any specific order but I will be displaying them in the library by regions from West to East as listed. The Spreadsheet! @ Google. I will keep the original list. Keep track of your books if you want to. Read Across the USA - Can you do it? As a big project in the library this year we will be "Reading Across the USA". One region at a time. YA Novels have been selected by readers and Librarians across the states and they will be on display in the Library. 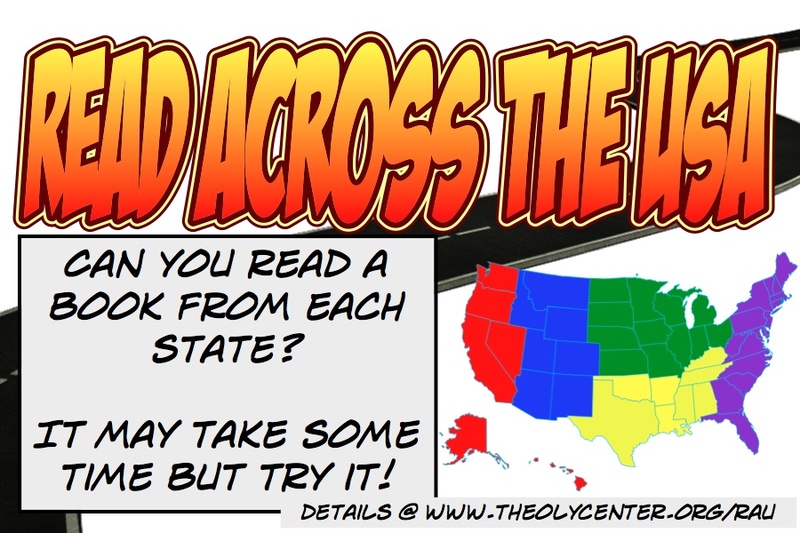 Your job is to read at least one book from each state. If you have already read a book from that state... check it off! By no means are any of these lists complete - feel free to add to them. There will be a spreadsheet in the Library for you to keep track of what you have read. For those participating there will also be drawings and prizes throughout the year. Below are links to book suggestions by region and state also what we have at school. P.S. - No list is ever complete!